My baby girl decided that she was so comfortable in mummy’s tummy that she didn’t want to come out. So 10 Days after my due date in November 2008 i was given a date to come in and be induced. As this was my first pregnancy to be honest I was pretty clueless and pretty nervous about the whole thing but a lot of it was overcome with the excitement of getting to meet my little bundle of joy. I went in to the hospital in the evening time and I got myself settled in, and i was then given the drugs to get things started, after an hour my husband was told to go home and rest until something was to happen. I spent a little while sending messages back and forth to hubby as we both couldn’t sleep and I was starting to feel sick. Around 1 am I started to feel pain like cramping and i remember thinking this is it, the beginning of life changing forever. A few hours past and I couldn’t sleep with the pain as it got worse but i still took no medication for the pain as I wanted to hold off as long as i could. At around 3am I tried to look for the bathroom and before I could my waters broke and I swear I thought I wet myself ha ha. A while more past and the pain was just as bad and the nurse said that i wasnt dilated enough to go down to the labour room so she decided to run me a bath to help me relax but while she was away my contractions and pains got worse and this is when another nurse discovered that I had dilated about 3-4cm now and they decided to call my husband to come up as it seemed to be going faster and they wanted to bring me to the labour ward. By the time my husband arrive i had been moved down to the labour room and this was about 7am. After all that excitement everything slowed down and i cant remember much from that until around 2pm when the pains got so bad that i decided to have a epidural. They are great by the way. It wasnt in my birth plan to have one but am glad i did now as it helped me be more comfortable during labour. 5pm Came and finally i was fully dilated and ready to push, i remember my hubby sitting beside me holding my hand. After a half hour of pushing it was decided to bring in the doctor and they had to use the forceps to guide my baby out and i was getting exhausted. 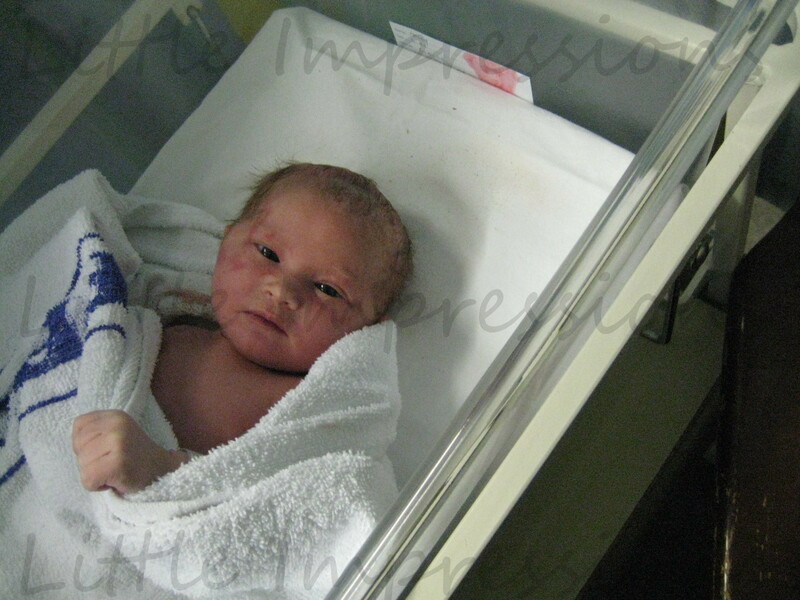 Then at 5.56pm there she was my beautiful baby girl weighing in a 7lbs 8oz and a length of 56Cm. It was a magical moment i will never forever, i instantly forgot about all the pain and i wasnt aware that the doctor was doing a few stitches. My hubby even had tears in his eyes when she came out and he also cut the core which was amazing to see as i never seen him getting emotional like that before. Its amazing the way dads become dads the moments they see their child being born but mum’s are mum from the first positive pregnancy test. The next few hours where full of pictures and phone calls to everyone to announce she was here. No one knew we where having a girl we kept that one to ourselves.